Talk with your (Fancy) Hands. If you've spent any time on conference calls, you know that nothing ever works quite right. That's why we fixed them, removing some unnecessary variables and smoothing out the experience. Next time you need to collaborate over the phone, try us out. No dial-in numbers to manage, and no access codes to numb your fingers. We call you when it’s time. Many (Fancy) Hands make for light work. It’s like a party line, but for getting stuff done. Everything is powered by Twilio, the communications craftsmen. That means it’s as reliable as a sunset, and almost as beautiful. No fuss, no muss, no marketing. Nothing to distract you from the call. 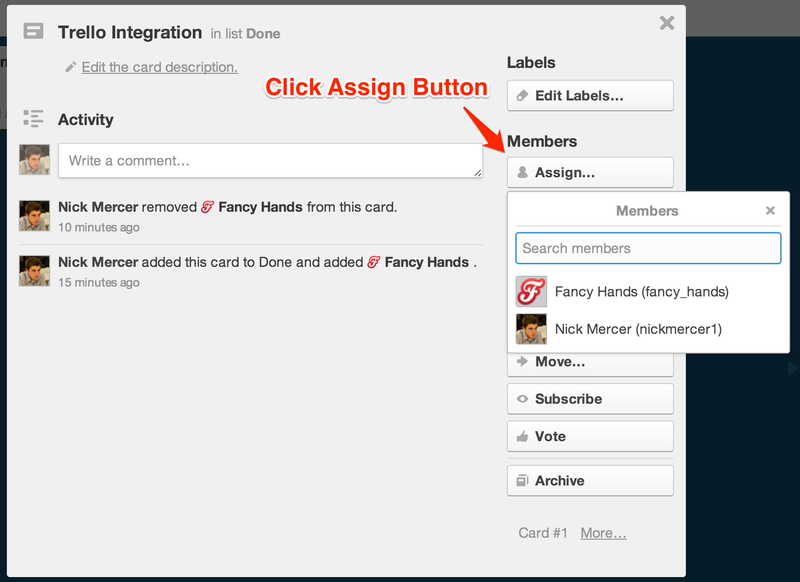 Each conference call counts as one of your tasks, with no charge to the participants. How exactly does this conference call feature work? Our conference call feature is really handy and we’re glad you asked. 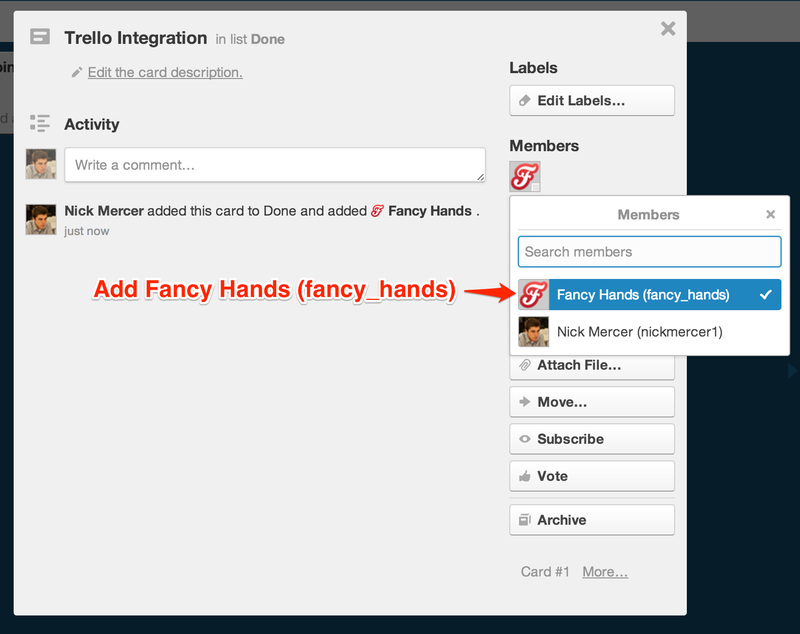 You can submit your conference call information while signed into your Fancy Hands account. You can set up the conference call by going here. Put in your name and phone number, as well as the date and time you wish to hold the conference call. 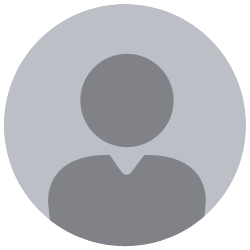 Then you can add the email addresses of the people you want to invite to the conference call. You can add up to 40 participants, so go crazy! 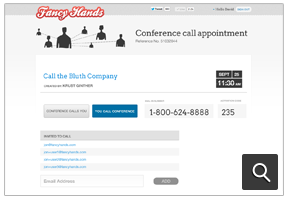 The conference call attendees will receive an email from Fancy Hands on your behalf before the call with all of the details, including the call-in number, the date, and the time. 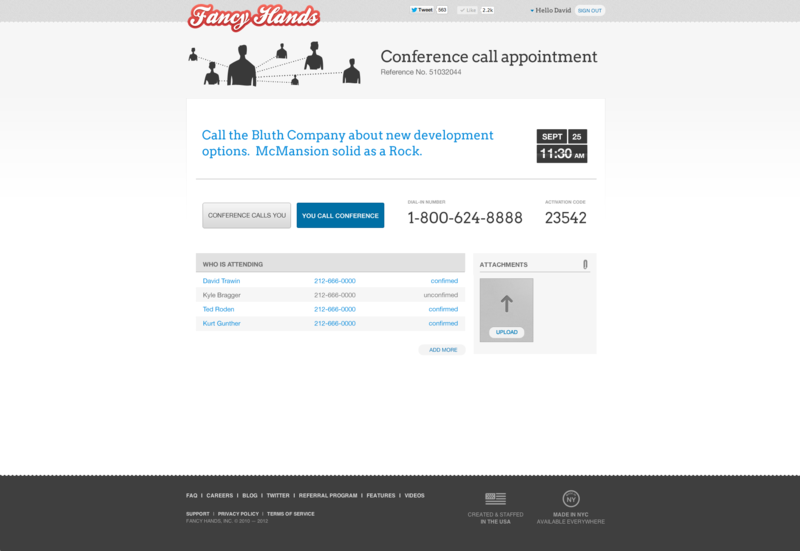 You can choose to have Fancy Hands call you at the time of the conference call, or you can call in. It's up to you! Does the conference call count as more than one task? Nope! Setting up a conference call only counts as using one task. So, if you want to schedule five different conference calls, that will count as 5 different tasks. Will the email to the conference call participants come from me or from Fancy Hands? The email will be sent from an email address labeled “Fancy Hands Assistants”, but the actual email will let your participants know that you have invited them call and how they can get in on the call. Is there a way to record the conference calls? Right now, there is not a way to record your conference calls.